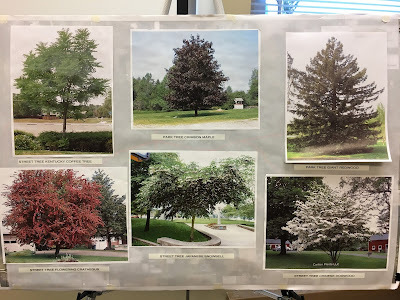 Last month, I posted about the community-driven Hunter Park Task Force, and Langley City staff’s planning work to restore the park. The park was devastated by Laminated Root Rot which required the City to remove a significant number of trees from the park. 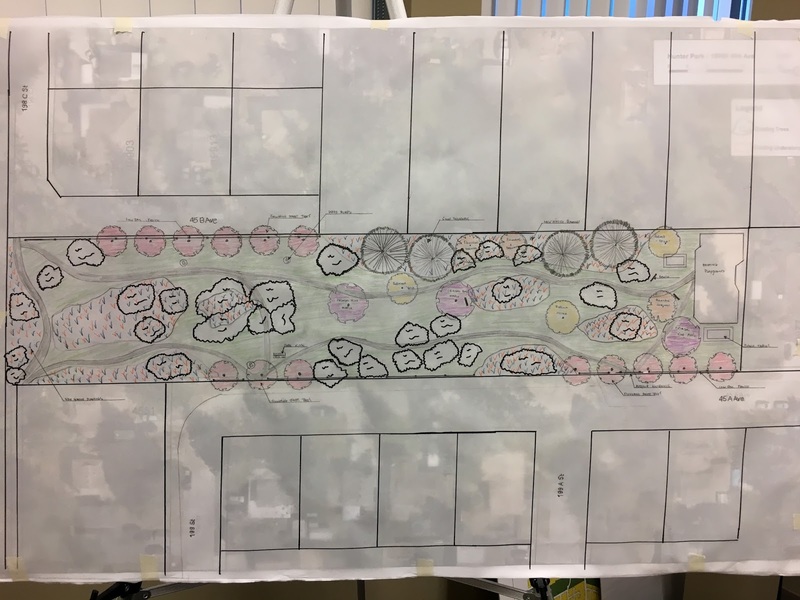 The task force reviewed the concept plan for the restored park at the last task force meeting, and provided constructive feedback to City staff. With this feedback, staff went to work on a draft plan that was presented to the task force last night for further feedback. The following drawing shows the new draft plan for the restored Hunter Park. 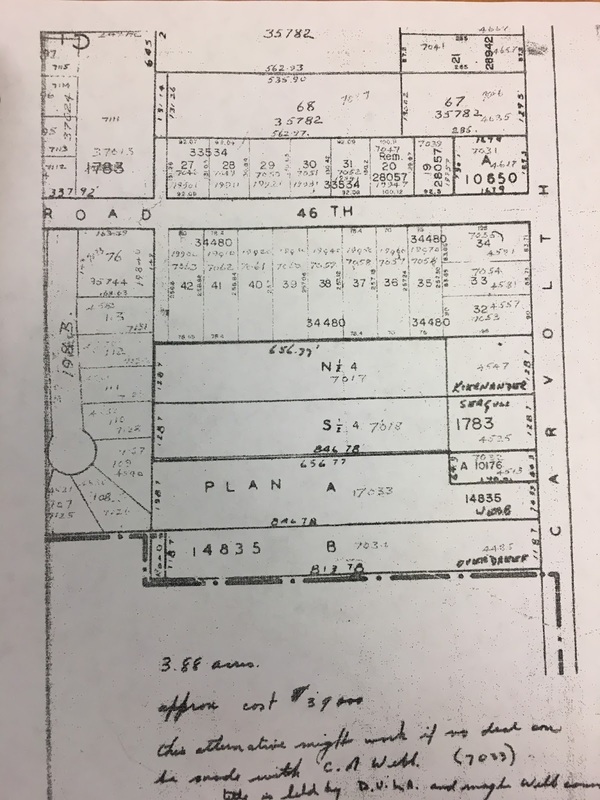 Draft site plan for the restored Hunter Park. Select image to enlarge. The dark, heavy-stroke pen outlines the remaining trees in Hunter Park that will be preserved. Near these preserved trees will be planted areas. There will also be a new trail system in the park, as well as some grass areas to allow people to have a picnic or throw a frisbee around. New trees will be added to the park, and as seen in the sample below will add a lot of colour to the park. Some of the trees will be flowering which will be beautiful to see during the spring. Examples of trees that will be added to Hunter Park as part of the draft restoration plan. Select image to enlarge. A low-level wood fence will front the park where it is parallel to streets. This will keep the park open and inviting, while preventing people from driving into the park, and will reduce the current build-up of debris around the edge of the park. Example of fencing, benches, picnic tables, the trail system, and the iconic entrance that are part of the Hunter Park draft plan. Select image to enlarge. Based on community feedback, the playground area will be enhanced with two picnic tables and several benches. There will also be an iconic entrance to the park off 45A Avenue near the playground area. 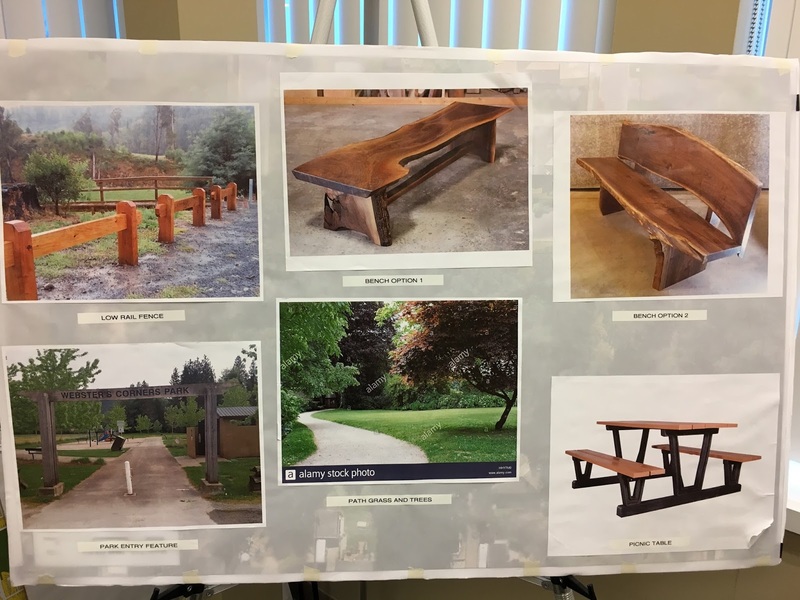 One of the elements in the draft plan for the restored Hunter Park will be interpretive signage about the park’s history. One of the members of the task force is knowledgeable about our local history. There is some mystery around how Hunter Park actually got its names. I’m hoping that this mystery will be solved with the installation of the interpretive signage. 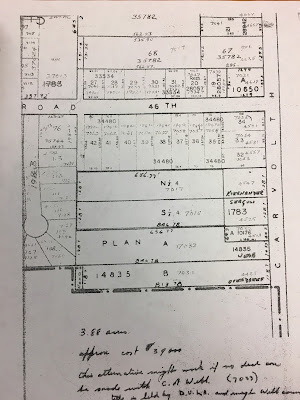 Example of a historic document about Hunter Park. Select image to enlarge. Members of the task force were pleased to see their feedback incorporated into the draft plan, and unanimously supported this draft plan. The draft plan will now be forwarded to council for approval at the April 24th council meeting. If approved, work will begin in short order to restore Hunter Park. 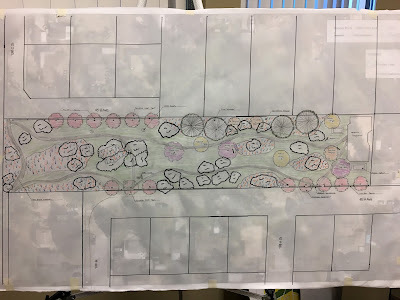 While there will no longer be an urban forest in Hunter Park, this plan does preserves the remaining trees and adds native-species planted areas. I am very pleased with this draft concept for the restored Hunter Park.